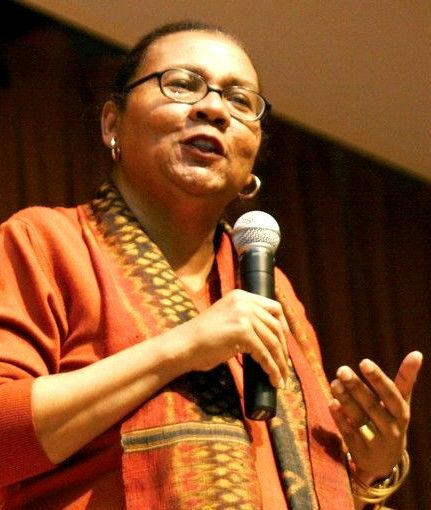 Maggie Anderson is an American activist, CEO, and co-founder of the Empowerment Experiment. Anderson grew up in Liberty City, Miami, Florida and earned degrees at Emory University and the University of Chicago. She studied constitutional law under Barack Obama at Chicago Law School. She was also an executive at McDonald’s. 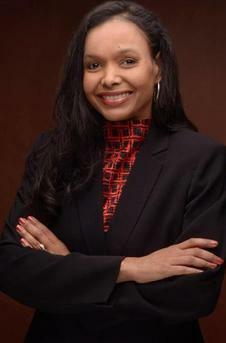 Anderson and her family spent a full year (2009) patronizing, as much as possible, only African-American owned businesses, eschewing all others. She wrote a book about the experience, reporting that in some fields, it was difficult to find black-owned businesses and that black people patronized businesses within their own ethnic group less than other ethnic groups. The movement is known as The Empowerment Experiment. Since the experiment, Maggie has become the face of a conscious consumerism movement uniting consumers, corporations, and the quality Black businesses that can rescue struggling communities and provide role models to Black youth. A sought-after speaker, she tours the country inspiring more consumer and corporate engagement of Black professionals and firms. Margarita appears on CNN, MSNBC, Fox News, C-SPAN, PBS Newshour, and CBS Morning News, among many other national television and radio shows…and uses her growing platform to increase awareness about economic inequalities that starve Black neighborhoods and deny Black businesses, and how proactive support of Black businesses can create jobs and curb crime in America. She is the Author of “Our Black Year” (2013) which details her experience and examines the commercial exploitation of Black neighborhoods while exploring the reasons why Black businesses lag behind businesses of all other racial and ethnic groups in every measure of success. She has become the leader of a self-help economics movement that supports quality black businesses and urges consumers, especially other middle and upper-class African Americans, to proactively and publicly support them. As a result of The Empowerment Experiment, EEF partnered with Northwestern University’s elite Kellogg Graduate School of Management to prove, research, and analyze economic leakage and the potential impact of self-help economics/conscious consumerism on a mass scale. The Empowerment Experiment’s landmark study proved that close to 1 million new American jobs could be created when African American consumers with HHI of $75,000 or more were to increase their spending in the community from the current 3% to 10% of their disposable income. EEF’s mission, projects, and programming are driven by this possibility (increased economic activity in the Black community) and the result (1 million new American jobs, higher success rates for Black-owned businesses). For availability and speaker fees, please contact Maggie Anderson’s speaking agent at Chartwell here, or call +1 972 385 1021 for U.S. inquiries or +44 207 293 0864 for international inquiries.